or u can access it hosted on myspace at http://www.causes.com/…uses/86543 . prevously i had built a change with changes.com on facebook apps. it accessible here at http://apps.facebook.com/…/view/1690 .even they didn't call near a single fan, but its existence was a triumph of the power of freedom. i love my voice of freedom over China as well as the world, for changes and democratic China. i mean it, with my poor resource and full devotion. 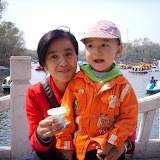 drink milk aside the lake with mom.